Over the past several years, marijuana has been in the policy and news spotlight as states have passed laws ranging from limited allowances for medical marijuana to overall marijuana legalization. 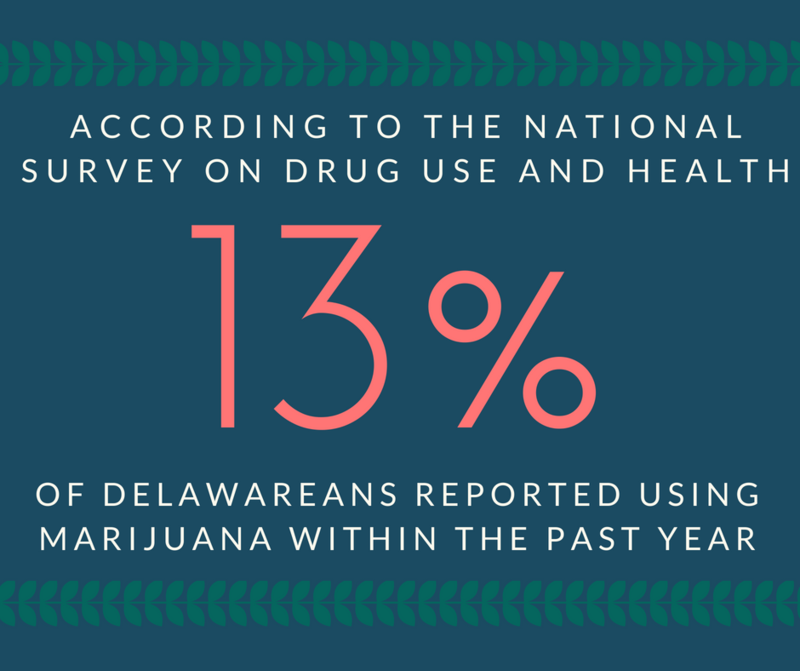 While smoking marijuana remains illegal in Delaware, the National Survey on Drug Use and Health found that 13% of Delawareans reported using marijuana within the past year and 9% reported using marijuana in the last month. Since smoking marijuana remains illegal in most of the country, there is little data concerning the effects of secondhand marijuana smoke. However, the evidence that is present suggests secondhand marijuana smoke should be avoided. Research has shown that secondhand marijuana smoke contains many of the same carcinogenic chemicals as tobacco smoke. In fact, secondhand marijuana smoke contained more of the harmful chemicals known as hydrogen cyanide and PAHs than secondhand tobacco smoke contains. Another study found that 1 minute of exposure to secondhand marijuana smoke results in cardiovascular impairment similar to and lasting longer than secondhand tobacco smoke exposure. For years, every level of government has been working to reduce childhood exposure to secondhand tobacco smoke, and a recent study by Columbia University shows that progress is being made. However, as the percent of parents who smoke tobacco around their children has decreased, the percent of parents who smoke marijuana around their children has increased. Since buying, selling, and smoking marijuana is illegal statewide, point-of-sale strategies and smoke-free public space policies would be difficult to implement. Instead, municipalities should focus their efforts on teaching residents the harmful impacts of secondhand marijuana smoke. These strategies have helped decrease the percent of current smokers who smoke around their children, so marijuana secondhand smoke preventative campaigns could be modeled based on past tobacco secondhand smoke preventative campaigns. 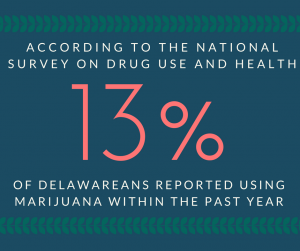 Should marijuana become legal in Delaware, local municipalities should include marijuana in their smoke-free public places and point-of-sale laws. In Colorado, where smoking marijuana is legal, residents are not allowed to smoke, eat, or vape marijuana in any public places or on federal land. These smoking regulations are actually stricter than Colorado’s tobacco smoking regulations.